For someone like me, who’s never seen the classic series that ran from ’63 to ’89, many things happened during the course of my journey through the seven Doctor Who seasons Netflix offered (it now has last year’s eighth season available for streaming). The first thing that happened, emotionally, was my sense of mild disgust at the badness of the first episode and also my strong irritation that perhaps I’d wasted my time on horrible effects, which had been touted to me as one of the main ingredients of the show’s campiness. And then Rose, a girl who bears all the characteristics of a great friend, makes a choice easy on the surface but considerably difficult when you think about it. She chooses to leave behind a dull life, an affectionate mother, and an OK boyfriend to travel through space and time with an alien in a spaceship. The next wonderful thing that happened was this: I was presented with the same choice given to Rose, and I felt like the showrunners respected me enough to decide for myself whether I wanted to go or stay. Essentially, they let all of us divide ourselves between those of us with an insatiable, burning curiosity and sense of wonder and those of us without these strengths (let’s be honest). After that, the Doctor takes us billions of years into the future, out into the solar system, to witness the earth’s last explosive moment of existence with the most elite beings in the universe. It’s a spectacle. Then the Doctor and Rose and the following Companions escape death countless times using just their wit, courage, and the Sonic Screwdriver, and we find out what really makes this show special: even as they shuttle through space and time defying death, the central characters discover exactly where in life they are meant to be. They develop relationships strong enough that it’s obvious the only place to be is with each other. In turn, these are connections tangible enough that the only place we feel we belong is with these characters. The truth is, everyone feels the need to belong, and this is what Doctor Who makes us all feel so well. 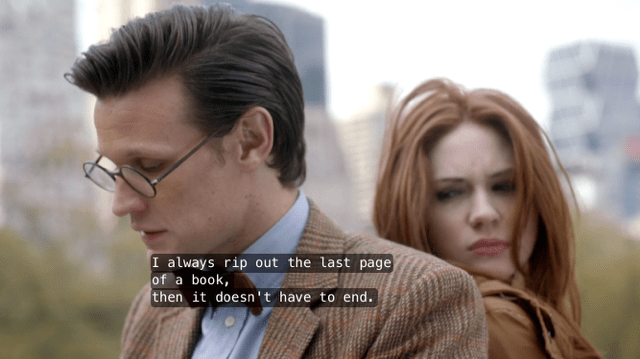 But one of the most brilliant things about Doctor Who is its understanding that people eventually move on. Sadly, this includes the characters and relationships in which we’ve invested—and even certain aspects of the Doctor himself. Every so often, he must ‘regenerate’ and become someone new, in a way. On the plus side, the Doctor always leaves at the height of the party when emotions are strong. 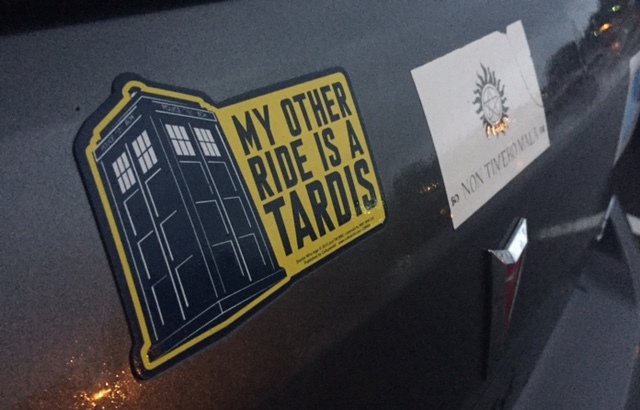 On the other hand, there’s afterward a period of adjustment during which we have a conniption fit or two before we finally give in to the awesomeness of the new Doctor. And this process is unlike anything we will ever experience watching a TV show. Maybe the idea that most satisfyingly strikes my chord (aside from the Doctor’s constant shame of leading those he loves into mortal danger) occurred to me during my time with the Tenth Doctor. I thought about how no one the Doctor loves, and therefore no one in the show whom we love, ever dies. They move on to the next chapter of their lives. Doctor Who never lived in such a fatally realistic realm, with other shows like Game of Thrones, where viewers pay dearly when key players die. At its core, Doctor Who is an optimistic show that gives hope to those who choose to go along with it. If you think about it, few feelings are more rewarding. Watch new episodes of Doctor Who Saturday nights, 9/8 central, on BBC America. RT is a TV and Film enthusiast, speculative fiction writer, and editor at Project-Nerd. Follow him on Twitter @RTBudhram!